Custom recycled jotter and pen with red trim is one of our best sellers because advertisers find them interesting. 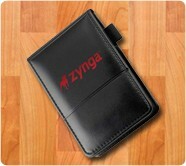 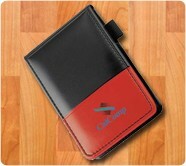 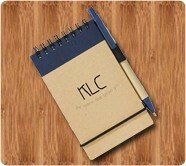 Customers love such adorable jotters and often tend to retain it for long time. 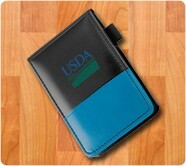 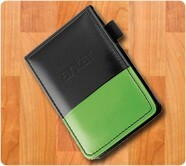 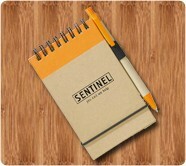 This jotter features recycled cover, sheets, and twist action ballpoint pen, which means 3 added benefits at one cost. 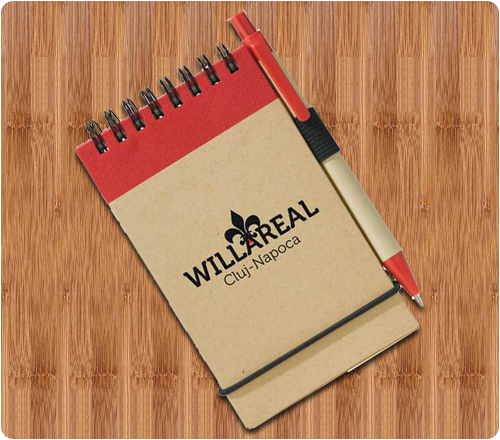 Advertisers who wish to offer lots of benefits at one time investment can definitely rely on this jotter for achieving the same.